If you find that your baby is starting to break out into a rash in the diaper area while you are using cloth diapers, do not immediately think that cloth isn’t working for your child! And certainly don’t think you have no alternative but to switch to throw-away diapers. There are little fixes you can do quickly to solve rash issues, all the while, continuing to use your cloth nappies. However, DO SOMETHING! Don’t just assume the rash is a fluke and wait for it to go away. Rashes are a symptom of a problem and they are one of the first signs we get as caregivers that something is awry in our baby’s little world. The first step to becoming a rash super-sleuth is to know the most common irritants of a diaper rash. While you are deciding which one(s) could be bothering your baby, select and use a cloth-diaper-approved ointment or balm to help your baby heal while preserving your cloth diaper stash. Well, that’s just not really helpful. If your child is experiencing a diaper rash (or other skin rash for that matter) don’t wait too long before you consider switching your laundry detergent. I try to keep up with the detergent ingredient definitions and a list of detergents with their known ingredients (as well as how they interact with cloth diapers). If you are interested in one not listed there, send me an email and I’ll see what I can find out. Consider making your own wipe solution and use cloth wipes. 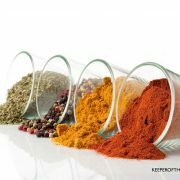 This step will reduce the use of fragrances and dyes and other preservatives you might find in a commercial wipe product. Don’t want to buy all the ingredients? Check out Baby Bits or some other pre-made wafer for cloth diapering that will dissolve easily in water. You may think, well, I already do that, duh!?! But, are you doing it enough? Especially with the craze of front loading washers and the vast differences in hard water vs. soft water, many mamas don’t realize the necessity of the perfect rinse. Every time you wash your cloth, you should be rinsing the clean diapers until there are no more suds in the wash. 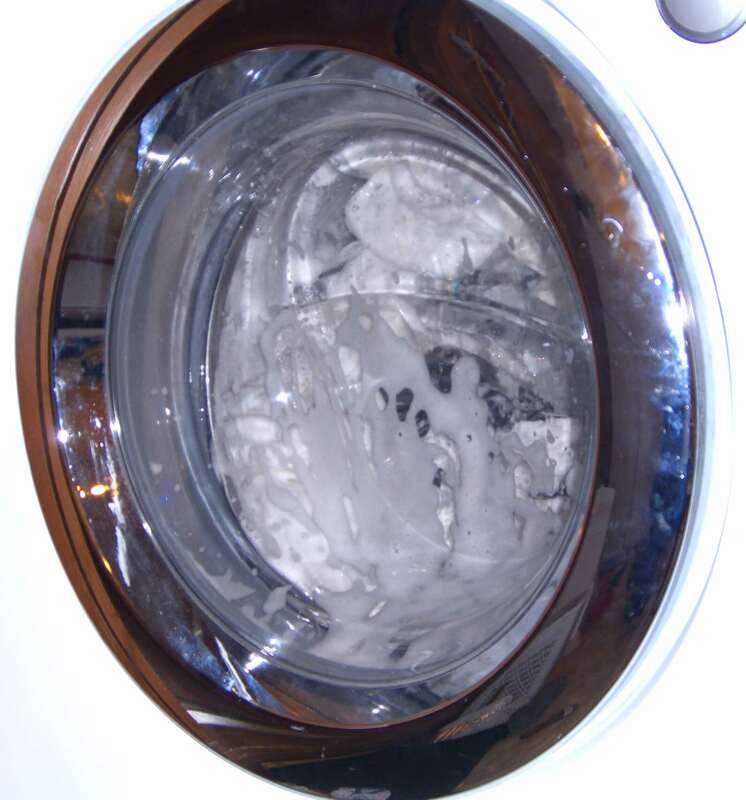 If you have a front loader, you may have to trick the washing machine into adding more water. 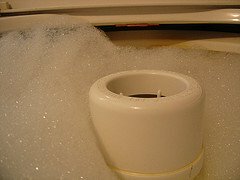 If you have hard water, you made need to use a water softener like RLR or Calgon. If there is but one sud left on the wall of your washing machine, rinse the entire load again. PUL covers will likely not require this much rinsing so you can take them out after the initial extra rinse, but if you use prefolds, All-in-Ones, All-in-Twos, inserts, thick covers (i.e. fleece), etc. it is likely that there is detergent trapped in the fibers of your diapers and when your baby uses the diaper, this detergent gets wet and irritates your baby’s skin causing a rash. 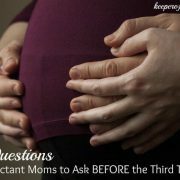 Even detergents that advertise that they rinse clean and work flawlessly for everyone in your local mommy group – yes, even these can be a culprit if your baby gets a rash. 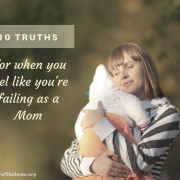 And besides, when it concerns your child’s health, what does it hurt to try, right? May the rinsing festivities begin! I agree that rinsing is very important. Firstly, I use cloth wipes but I don’t use any solution, I just wet the wipe under the hot tap before using it. I keep a stack of wipes/washcloths at the changing table and just grab one and wet it before use. So easy. When I am out and about I take cloth wipes and wet them if there is a tap nearby, otherwise I may use cold water from a drink bottle (only if it is summer and warm weather), or I would use bought disposable wipes. Secondly, I hang all my cloth nappies (and all other laundry) outside on the line to dry. The sun has amazing sanitising and bleaching properties so it is very important to get your cloth nappies out into the sun and fresh air. Even when the sun is not shining the UV light will bleach your nappies. Thirdly, I use much less than the recommended amount of detergent (with all my laundry) and find everything comes out clean. I do love my front loader since it heats its own water so hot washes are easy – before I had a front loader I could only do cold washes in my top loader. What great timing this post is! I have literally just finished a blog post on the toxins in nappy wipes and I was just off to research what to use to make my own. Too funny! My favorite rash “cream” for cloth diapering is raw honey. 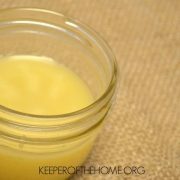 I also use coconut oil, but I’ve found that the honey really soothes the skin, especially for overnight when dealing with a rash. I notice a great improvement after using it through one night. I’m currently dealing with a bout of diaper rash on my daughter, stemming from her spending many hours in the car seat while we were in the middle of a complicated move and doing a lot of travelling. I used the honey last night and the rash is looking much better today. 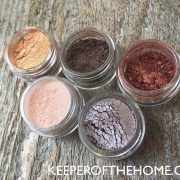 I recently posted the homemade wipes solution that I use on my blog. It works wonderfully! @Kristen, How have I never thought of honey?! huh. And it never bothered your cloth dipes? @Donielle @ Naturally Knocked Up, I’ve never thought of it, either, but what a great idea, huh? That’s a great idea. I’m using cloth diapers for my little brother who has Down syndrome and a rash that was initially caused by surgery to get rid of his ileostomy he’s had for 3 years in June. We’ve tried tons of various creams, salves and powders, but the only one we had any kind of success with so far is EMAB’s Angel Baby Bottom Balm. (No rashes for over 48 hours… a new record). I’ll have to mention honey to my mom and we just might try it if the rash comes back. I just got a new front loader a couple of months back (when our old one died) and my FAVORITE feature is the super sanitary cycle. Heats the diapers up to 160* and gets them really clean. Now I just run a rinse with a tiny amount of detergent on cold to get the initial stuff out, run the sanitary cycle, and have no issues. My daughter used to get diaper rash from time to time. I eventually realized that it corresponded to the weather. If it rained, and thus I dried her diapers in the dryer, she got a rash. But on nice days, I line dried them, and she never got a rash when they were line dried. @Mama Eva, Agreed. Our issues are stemming from yeast right now. Cutting out sugars and grains plus adding probiotics has been pivotal in getting my little one over her rash. @Mama Eva, Absolutely. My girls have gotten worse rashes when they were dealing with systemic yeast (Candida) issues. Rinsing is super important. I also use much less detergent than normal and let my diapers soak before I wash them. I soak in borax and hot water. I then drain the water and wash with detergent and borax and rinse until I see no suds, which is usually twice for me. I always hang dry, just can’t bring myself to turn the dryer on just for diapers. For rashes, irritation or redness, which I rarely see, I use pure shea butter. I’ve been using shea butter since my 2nd child (I now have my 4th little bundle). Works wonders and provides an excellent barrier for the skin and lots of good skin nutrients. I also want to add, I do not believe the rashes are from yeast, because he doesn’t get them the weeks he is in disposables again. The rash only seems to show up where his eliminations touch his skin. I rarely use disposable wipes when he is in cloth, and I use rags I made from soft sweat pants and baby wash clothes for wipes when hes in cloth- and I only use water to wipe him off when I use those wipes (especially when he has a rash). I have tried using baby soap and baby oil mixtures, as well as olive oil and plain dove bar soap, but plain water seems to be the least irritating. He doesn’t really seem to have any problems with skin irritants to anything else either. Had one case of some baby lotion bothering him when he was like 2 months old, but that was it. I have had periodic rash issues with my daughter that resulted in brief stints in disposables, which I hated because we really didn’t have the money to buy them. Did you try stripping your diapers with plain blue Dawn and then bleach? I did a whole stripping routine recommended by Cotton Babies and it really improved my diapers. Most of my daughter’s rash issues were tracked to food or detergent. Though sometimes a virus or teething played a role. I have had to change detergents twice and had to change my wash routine when my daughter started solid foods. You might want to try a different detergent. I’ve heard of some moms having smell or rash issues with Rockin Green. Though I haven’t used it, many moms swear by it. But not every detergent is for every baby. We use Country Save and have had very few issues. I also started throwing a soaking wet towel in with my diapers when I do diaper wash in my HE washer. When I still had a top loading washer we had great success with Purex free and clear (though be careful because I think they may have added optical brighteners back into their free and clear formula). 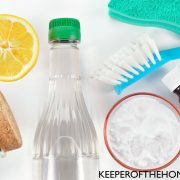 Sometimes just using a cheap store brand detergent may do the trick, just check your ingredients, avoid enzymes, brighteners, stain fighters, dyes, and fragrances. I think Cotton Babies.com has a list of recommended diaper detergents. Hope this helps. Feel free to contact me via my blog if you have more questions or concerns. just curious what kinds of rashes you LO’s have. DD has had a reoccurring ammonia irritation off and on for months. We’ve stripped and stripped and stripped diapers, changed detergents, elimination diets, prescription creams and NOTHING works. any other tips out there? please, were desperate, and so is her cute little tush!